Although there is no such thing as a 'typical homeschool day', I thought it would be useful to share what our homeschool daily schedule looks like. Even though we are fairly relaxed in our homeschooling, I do like to have some structure to the day. It helps me to feel less overwhelmed and more 'capable' (this doesn't mean I am more capable - just that I feel it!). On days when we are not seeing friends or on homeschool field trips, our days tend to look like this. 7.00am We are usually up by now, and doing our own thing. There is usually lots of reading at this time of the morning. I do my journaling and make some token gesture towards exercising. 8.00am We start getting our act together - breakfasting, getting ready and a quick push at chores. 9.00am This is when we are in our 'learning zone'. Depending how my schedule is working we may use this time for a Time Out Homeschool Schedule or One Hour Schedule - but this is the time when we will work on lapbooks, do read alouds, study some math or work on some project idea that has interested us. Even though this is officially the 'learning part of our homeschool day, I keep it relaxed. If something catches our attention then we will take a tangent to study it further. 1.00pm If we are not running errands, we use the afternoon for walking the dog, playing in the garden (or some kind of sport) and blogging. If the weather is bad then we play games, do home school crafts, and read some more! This tends to be the time of day when we have our most interesting discussions. It is also when the children take advantage of anything I have strewn for them. 3.00pm The computer-game blackout is now over for the day, so the children often play on the PC until teatime. 5.00pm and beyond After tea, we often settle down together to either listen to an audiobook, or watch some TV. My husband is pretty good at finding good documentaries and recording them, so we usually have something interesting to watch. It may sound all a little relaxed! The problem with homeschooling is that you tend to 'live' the learning, rather than it being something separate. It all really just becomes part of the same thing. The learning happens so naturally throughout the homeschool day that you forget you are learning. And I think that one of the main benefits of homeschooling. 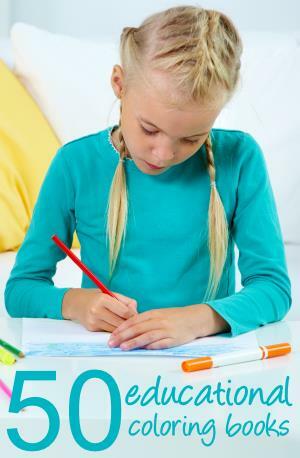 What is your daily homeschool schedule? I would love you to share your homeschooling stories.